The flexible and self-healing LG G Flex was an unexpected treat when it launched late last year, but LG is just getting started. 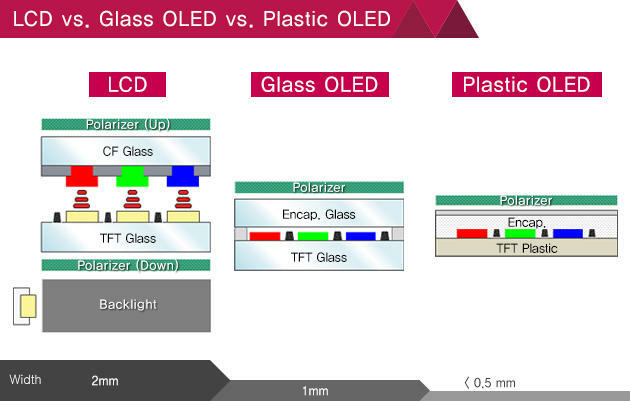 In an official roadmap shared earlier this month, the company laid out its plans for displays that can bend, fold and roll-up thanks to new plastic OLED technology. Starting next year, LG says it could unveil the first “bending” smartphone. Then, in 2017, the company hopes to use P-OLED panels to produce foldable displays for multi-use devices and rollable screens for easy transportation. 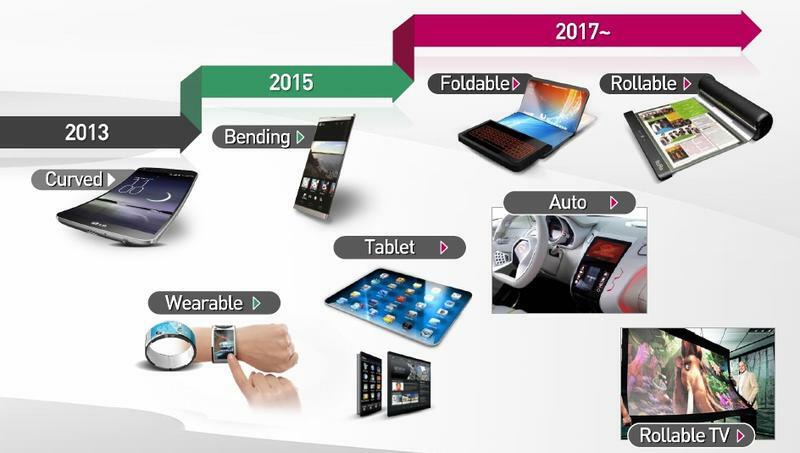 LG’s roadmap also hints at a smartwatch with a curved display that could launch in the near future, along with P-OLED tablets slated for late 2015 or early 2016. 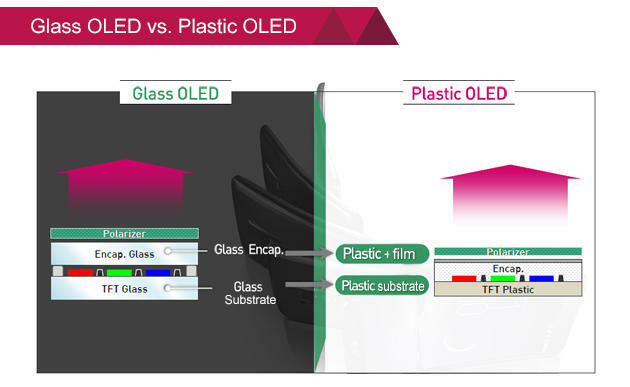 Unfortunately, LG doesn’t offer many specifics on these products, instead focusing on the P-OLED panel, which uses plastic instead of glass. 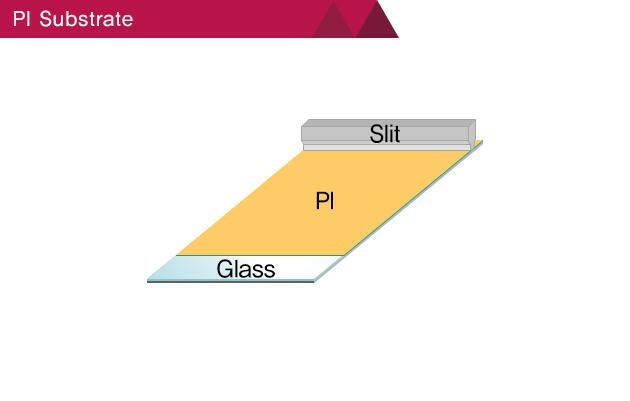 The company says the material is less likely to break compared to traditional glass displays. It also offers a simpler structure compared to LCD or regular OLED and allows for thinner bezels. 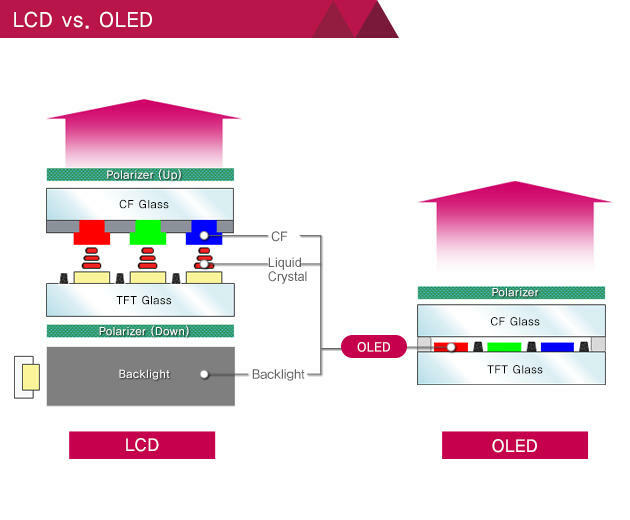 With 2015 already closing in, it may not be too much longer before we get a look at LG’s next P-OLED device. Earlier this year we heard rumors that the G Flex 2 could be “even more unique” than the original, and a bendable display would make for a very unique smartphone.